As blockchain technology continues to transform financial services and seemingly every other new startup, it faces a major challenge: how to fix a major gender imbalance, one that's even more pronounced for black women. While the technology itself has revolutionary potential, it's remained very traditional when it comes to inclusivity. Only 8.78% of individuals in the blockchain and crypto community are women, according to CoinDance. The data was not broken down by race, but there are major racial disparities in employment in the financial services and tech sectors between white women and black women. 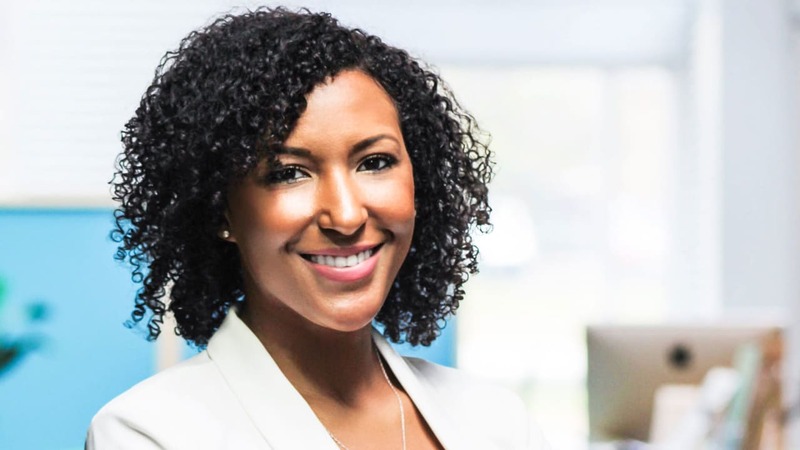 Though their numbers may be low, there are a few black women in blockchain working as entrepreneurs and corporate leaders who are looking to bring more black women into the industry. Here are two of them, offering their advice for incorporating the technology in business. Dawn Dickerson uses her influence to engage with the blockchain community, inform people who are interested in the technology, and fundraise for her company, Popcom, an automated retail technology company. Popcom develops software and IoT-connected hardware for self-service retail, including vending machines and digital kiosks used to dispense products and perform transactions. "Our goal overall is to reduce the friction and transactions in automation in the retail setting and then allow retailers to collect data from and about their customers," says Dickerson. "It's very similar to what's currently being done in the e-commerce environment, from Google Analytics and other platforms like Shopify." The data collection and metrics were largely unavailable for the self-service retail space until Dickerson created the software. The idea started after she began to grow her first business, Flat Out of Heels. "Blockchain came into play around protecting customers' data and identity. Since we use facial recognition, it was important for me to keep the data secure and only release the information for the retailer that the customer wants to share," she says. Her new software will use facial recognition to purchase regulated retail products like cannabis, alcohol, and pharmaceuticals to be sold in vending machines and digital kiosks. This software is turning customers' images into a biometric half, "which is a series of numbers and letters that represent that person's identity." Dickerson explained that the biometric half would be stored on the blockchain with their unique private keys as the only way to unlock any types of data associated with that profile. Natasha Bansgopaul is the cofounder and COO of DarcMatter, a global fintech platform for alternative investments. The company creates fintech solutions to make the process of raising capital easier for fund managers and smoothing the way for investors to access deal flow in the alternative space. Now that the company is in its fourth year, they launch a blockchain division called Konstellation, focused on creating blockchain solutions for the global financial services industry. "We're thinking about taking that next step of fintech and using blockchain feed supplements that apply both broad and specific sectors of financial services. Knowing that this is where a lot of the foundational blockchain innovation is needed, we want to continue to embrace this industry and take it to the next stage," shared Bansgopaul. Blockchain was always a part of DarcMatter's product road map for a launch in 2020, but due to the excitement and interest in the technology, the company accelerated the plan to launch Konstellation in 2018. Since the launch, they've leveraged partnerships within traditional financial services on a global scale. "We also provide access and exposure within the blockchain world for more established institutions looking to figure out how to incorporate blockchain solutions in their companies as well," she says. Although it's a great time to explore blockchain and the need to get more black women in the industry is urgent, Dickerson and Bansgopaul believe that entrepreneurs should be wary of jumping on the bandwagon. "If you don't have to use blockchain, it makes no sense to spend the $100,000 it takes for developers to integrate it into your product," says Dickerson. Dickerson, who has pitched herself to investors, knows all too well that many entrepreneurs are pushed by investors into business strategies that won't work for their business. She was once told that Flat Out Heels should be a subscription box service because her company was not tech. "If blockchain is applicable, if it is the best solution, absolutely use it, but never make any business decisions based on what investors want, because [many are] bandwagon jumpers. They love one thing today and tomorrow they don't," she says. Given the expense and novelty of the blockchain industry, Bansgopaul also agrees that it's not a requirement for all companies. She believes the traditional path of securing loans and investors is still a viable option for most companies. "There's an influx of people just trying to take advantage of the financial gain opportunity or the lack of understanding from investors, and the immaturity of the market. There's a lot of people coming in and trying to do stuff and putting the name 'blockchain' on things," Bansgopaul says. If you are looking to attract investors with your blockchain project, she suggests you learn more about it by spending time with blockchain developers and joining blockchain community meet-ups or attending conferences. "The technical aspects of the project are what drives a community of investors to support blockchain projects, and this is a community that has become professional at identifying the technological ideas that will be core to the development of the industry as a whole," Bansgopaul says. Dickerson is raising money in the form of a token, and she promotes her token sales on social media. Right now she does not see any black women raising money in this way, and she's hoping to change it. "I do encourage black women to tokenize a cap and use a security token to raise money, because that's just a great way to raise money and allow for your investors to get liquidity. It also allowed me to raise money from the general public through equity crowdfunding under the JOBS Act Title III Reg CF," Dickerson says. Although the blockchain and crypto world was created for anonymity, what's unique in its growth is the willingness and eagerness for people to meet, learn, and engage with one another. Groups and organizations like Black Women in Blockchain Council, Stealth Mode, and many other communities for people of color in blockchain offer the connections to more black women in the industry. There's a lot to break down on Jumia's going public. The company is often dubbed the "Amazon of Africa," and like Amazon, Jumia comes with its own mixed buzz. Jumia's SEC F-1 prospectus offers us more insight into the venture, and perhaps any startup from Africa, thus far. Jumia's original co-founders included Nigerian tech entrepreneurs Tunde Kehinde and Raphael Afaedor, but both departed in 2015 to form other startups in fintech and logistics. Jumia has also opened itself up to Africa's traders by allowing local merchants to harness Jumia to sell online. The company has more than 80,000 active sellers on the platform using the company's payment, delivery and data-analytics services, Jumia Nigeria CEO Juliet Anammah told TechCrunch previously. The most popular goods on Jumia's shopping site include smartphones, washing machines, fashion items, women's hair care products and 32-inch TVs, according to Anammah. Like Amazon, Jumia brings its own mix of supporters and critics. On the critical side, there are questions of whether it's actually an African startup. The parent for Jumia Group is incorporated in Germany and current CEOs Jeremy Hodara and Sacha Poignonnec are French. The Africa authenticity debate often shifts into questions of a Jumia diversity deficit, which is of course important from Silicon Valley to Nairobi. The company's senior management and board is a mix of Africans and expats. Golden State Warriors basketball player and tech investor Andre Iguodala joined Jumia's board this spring with a priority on "diversity and making sure the African culture is in the company," he told TechCrunch. The Jumia authenticity and diversity debates will no doubt roll on. But the biggest question — the driver behind the VC, the IPO, the founders and the people buying Jumia's shares — is whether the startup can generate profits and ROI. Obviously some of the world's top venture investors, such as Jumia backers Goldman, AXA and Mastercard, think so. But for Jumia skeptics, there are the big losses. The company has generated years and years of losses, including negative EBITDA of €172 million in 2018 compared to revenues of €139 that same year. On the prospects for Jumia's profitability, two things to watch will be Jumia's fulfillment expenses and a shift to more revenue from its non-goods-delivery services, which offer lower unit costs and higher-margins. Per Jumia's SEC F-1 index (see above), freight and shipping make up more than half of its fulfillment expenses. 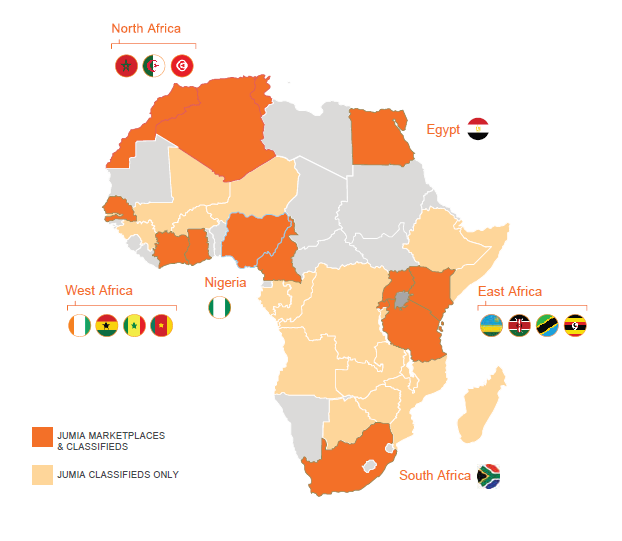 Jumia's IPO and African e-commerce? There is, of course, a bigger play in Jumia's IPO. One connected to global e-commerce and the future of online retail in Africa. Jumia going public comes as Africa's e-commerce landscape has seen its share of ups and downs, notably several failures in DealDey shutting down and the distressed acquisition of Nigerian e-commerce hopeful Konga.com. And this week, DHL came on the scene, launching its Africa eShop platform with 200 global retailers on board, in partnership with MallforAfrica's Link Commerce fulfillment service. Competition to capture Africa's digitizing consumer markets — expected to spend $2 billion online by 2025, according to McKinsey — could get fierce, with more global entries, acquisitions and competition on fulfillment services all part of the mix. And finally, the outcome of Jumia's IPO carries weight even for its competitors. "Many things, like business decisions and VC investments across Africa's e-commerce sector are on hold," an African e-commerce exec told TechCrunch on background. "Everyone's waiting to see what happens with Jumia's IPO and how they perform," the exec said. In China, the laws limit work to 44 hours a week and require overtime pay for anything above that. But many aren't following the rules, and a rare online movement puts a spotlight on extended work hours in China's booming tech sector. People from all corners of society have rallied in support for improvements to startup working conditions, while some warn of hurdles in a culture ingrained in the belief that more work leads to greater success. In late March, anonymous activists introduced 996.ICU, a domain name that represents the grueling life of Chinese programmers: who work from 9 am to 9 pm, 6 days a week with the threat of ending up at ICU, a hospital's intensive care unit. The site details local labor laws that explicitly prohibit overtime work without pay. The slogan "Developers' lives matter" appears at the bottom in solemn silence. In an email response to TechCrunch, JD claimed it doesn't force employees to work overtime. "JD.com is a competitive workplace that rewards initiative and hard work, which is consistent with our entrepreneurial roots. We're getting back to those roots as we seek, develop and reward staff who share the same hunger and values," the spokesperson said. "No companies should or can force employees into working 996," wrote Ma. "But young people need to understand that happiness comes from hard work. I don't defend 996, but I pay my respect to hard workers!" 996.ICU rapidly rocketed to be the most-starred project on GitHub, which claims to be the world's largest host of source codes. The protest certainly turned heads among tech bosses as China-based users soon noticed a number of browsers owned by companies practicing 996 had restricted access to the webpage. The 996 list is far from exhaustive as it comprises of voluntary entries from GitHub users. It's also hard to nail down the average work hours at a firm, especially a behemoth with tens of thousands of employees where policies can differ across departments. For instance, it's widely acknowledged that developers work longer than their peers in other units. Anecdotally, TechCrunch has heard that bosses in some organizations often find ways to exploit loopholes, such as setting unrealistic KPIs without explicitly writing 996 into employee contracts. "While our company doesn't force us into 996, sometimes, poor planning from upper management forces us to work long hours to meet arbitrary management deadlines," a Beijing-based engineer at a professional networking site told TechCrunch. This person is one of many sources who spoke anonymously because they are not authorized to speak to media. Other companies are more vocal about 996, taking pride in their excessively diligent culture. Youzan, the Tencent-backed, Shopify-like e-commerce solution provider, explicitly demanded staff to live out 996 work styles. Employees subsequently filed complaints in January to local labor authorities, which were said to have launched an investigation into Youzan. "The recent debate over 996 brings to light the intense competition in China's tech industry. To survive, startups and large companies have no choice but to work extremely hard. Some renown entrepreneurs even work over 100 hours a week," Jake Xie, vice president of investment at China Growth Capital, an early-stage venture fund, told TechCrunch. "Overtime is a norm at many internet companies. If we don't work more, we fall behind," said a founder of a Shenzhen-based mobile game developing startup. Competition is particularly cut-throat in China's mobile gaming sector, where creativity is in short supply and a popular shortcut to success is knocking off an already viral title. Speed, therefore, is all it matters. Meanwhile, a high-performing culture brewing in China may neutralize society's resistance to 996. Driven individuals band together at gyms and yoga studios to sweat off stress. Getting group dinners before returning to work every night becomes essential to one's social life, especially for those that don't yet have children. "There is a belief that more hours equals more learning. I think some percentage of people want to put in more hours, and that percentage is highest for 22 to 30 years old," a Shanghai-based executive at a tech company that values work-life balance told TechCrunch. "A few people in my team have expressed to us that they feel they cannot grow as fast as their friends who are working at companies that practice 996." "If you don't work 996 when you're young, when will you?" Wrote 54-year-old Jack Ma in his Weibo post. "To this day, I'm definitely working at least 12 to 12, let alone 996… Not everyone practicing 996 has the chance to do things that are valuable and meaningful with a sense of achievement. So I think it's a blessing for the BATs of China to be able to work 996." Demanding hours are certainly not unique to the tech industry. Media and literature have long documented the strenuous work conditions in China's manufacturing sector. Neighboring Japan is plagued by karoshi or "death from overwork" among its salarymen and Korean companies are also known for imposing back-breaking hours on workers, compelling the government to step in. Despite those apparent blocks, the anti-996 movement has garnered domestic attention. The trending topic "996ICU gets blocked by large companies" has generated nearly 2,000 posts and 6.3 million views on Weibo. China's state-run broadcaster CCTV chronicled the incident and accused overtime work of causing "substantial physical and psychological consequences" in employees. Outside China, Python creator Guido van Rossum raised awareness about China's 996 work routine in a tweet and on a forum. "Can we do something for 996 programmers in China?" He wrote in a thread viewed 16,700 times. The 996 campaign that began as a verbal outcry soon led to material acts. Shanghai-based lawyer Katt Gu and startup founder Suji Yan, who say they aren't involved in the 996.ICU project, put forward an Anti-996 License that would keep companies in violation of domestic or global labor laws from using its open source software. But some cautioned the restriction may undermine the spirit of open source, which denotes that a piece of software is distributed free and the source code undergirding it is accessible to others so they can study, share and modify the creator's work. Others take a less aggressive approach, applauding companies that embrace the more humane schedule of "9 am to 5 pm for 5 days a week" via the "995.WLB" GitHub project. (WLB is short for "work-life balance.") On this list are companies like Douban, the book and film review site famous for its "slow" growth but enduring popularity with China's self-proclaimed hippies. WeWork, the workplace service provider that bills itself as showing respect for employees' lives outside work, was also nominated. "If a company is large enough and are revealed to be practicing 996, the issue gets more attention. Take Youzan and JD for example," a Shanghai-based developer at an enterprise software startup told TechCrunch. "Conversely, a lot of companies that do practice 996 but have not been commercially successful are overlooked. There is no sufficient evidence that shows a company's growth is linked to 996… What bosses should evaluate is productivity, not hours." "As long as [China's] economy doesn't stall, it may be hard to stop 996 from happening. This is not a problem of the individual. It's an economic problem. What we can do is offering more humane care and inspiring workers to reflect, 'Am I working at free will and with passion?' instead of looking at their work hours," suggested Xie of China Growth Capital. "It seems almost all startups in China underfund the social security or housing fund especially when they are young, that is, before series A or even series B financing," Benjamin Qiu, partner at law firm Loeb & Loeb LLP, explained to TechCrunch. "Compared to 996, the employees have an even stronger legal claim on the above since it violates regulations and financially hurts the employee. That said, the official social credit and housing fund requirement in China appears to be an undue burden on the employer compared to the Silicon Valley, but if complied with, it could be understood as an offset of the 996 culture." A number of my interviewees spoke on conditions of anonymity, not because their companies promote 996 but, curiously, because their employers don't want to become ensnarled in the 996 discussions. "We don't need to tell people we support work-life balance. We show it with action," said a spokesperson for one company. PITTSBURGH, April 12, 2019 /PRNewswire/ -- Did your boss do a poor job delegating work across your team this week? Swipe left. Did a fellow manager do a great job coaching you through a project? Swipe right. Global leadership consulting firm DDI today announced that it is investing in Rhabit, a start-up talent development company whose new software makes it as simple as a swipe on a smartphone for employees to give feedback about how their leaders are performing. DDI intends to integrate Rhabit's software into its leadership development programs to help measure how well leaders apply what they've learned on the job. "Too often the focus of leadership training is on what goes on in the classroom, but what really matters is what leaders do when they walk out of it," said Doug Reynolds, Ph.D., executive vice president of innovations and technology at DDI. "Since DDI was founded in 1970, we have made it our mission to not only develop great leaders, but to measure how well leaders practice and apply the skills we teach them. With our investment in Rhabit, we look forward to making it faster and easier for people to give feedback on how leaders are doing, enabling leaders to build their strengths and quickly spot areas for improvement to boost their performance." DDI's capital investment in Rhabit is through DDI's Innovation Fund, a strategic corporate venture fund for DDI's investments in cutting-edge companies and technologies that complement DDI's existing suite of leadership selection, leadership development, succession planning, and consulting solutions. "At Rhabit, we are obsessed with measuring, understanding, and growing great people and work cultures for our clients," said Kevin Kelly, CEO and Co-Founder of Rhabit. "Because DDI works alongside many of the world's top companies on their leadership development initiatives, they are an ideal partner to help us bring our technology to a wide range of companies whose people are as passionate as we are about creating high-performance work cultures. We look forward to building a powerful relationship with DDI that will help leaders around the world become more effective in their jobs." The Rhabit platform is an easy-to-use workplace feedback tool that enables people to regularly and anonymously give feedback to their team members, providing key insights to help managers become more effective leaders. The platform measures a wide range of behaviors that align with company values such as effective delegating, communicating, planning, and coaching. The platform sends simple prompts to employees about once a week to encourage them to report whether they've observed these behaviors in their leaders by responding with a quick swipe left, right, or down on their smartphone. The process is quick, simple, and psychologically safe. "We see ourselves as creative scientists willing to push the boundaries of traditional talent management," said Chief Scientist and Co-Founder Alexander Schwall. "We make beautiful, useful software that helps grow engaged, productive work cultures with minimal time investment for both implementation and user input." DDI will integrate Rhabit's technology into its leadership development programs to measure how well leaders demonstrate leadership skills before, during, and after the program. The data will help leaders see how well they're using new skills, and how changes in their behaviors can improve their effectiveness in their jobs. "One of the biggest problems learning and development professionals have is how to ensure that investments in development programs deliver long-lasting change in how well their leaders perform," said Reynolds. "This technology will help us demonstrate proof of impact in real time. In addition, it will help HR gain commitment from leaders to develop their skills as they see measurable impact on the job." DDI is a global leadership consulting firm that helps organizations hire, promote and develop exceptional leaders. From first-time managers to C-suite executives, DDI is by leaders' sides, supporting them in every critical moment of leadership. Built on five decades of research and experience in the science of leadership, DDI's evidence-based assessment and development solutions enable millions of leaders around the world to succeed, propelling their organizations to new heights. For more information, visit ddiworld.com. Born from a love of analytics and organizational psychology, Rhabit makes beautiful, human-centered software that helps companies build high-performing work cultures through feedback. Rhabit envisions a world where people have an incredible amount of agency and support for finding ways to be effective and engaged in their work life, regardless of where they fall in the organizational structure. Rhabit empowers companies to observe, measure, and grow quickly and effectively. It was founded by Kevin Kelly and Alexander Schwall, Ph.D., in 2017 and is headquartered in Pittsburgh, PA.
Amazon has a large and growing advertising business, but rival Walmart's own ad business is much smaller. It's now working to change that. Earlier this year, the retailer consolidated ad sales for its stores and websites and said it was ready to start monetizing its shopper data on a grander scale. Today, its efforts continue as Walmart says it has bought the advertising technology company Polymorph Labs to help it better compete via online digital ads, targeted using shopper data. The San Francisco-based startup's technology and assets will allow Walmart to deliver more relevant ads to online shoppers, the retailer says. Meanwhile, Polymorph's team will join Walmart's in-house advertising business, the Walmart Media Group. Specifically, Polymorph's technology includes a high-speed ad server, a self-serve interface and server-side header bidding. This, says Walmart, will make advertising easier for thousands of brands and will deliver more relevant ads to consumers — and quicker than typically possible because of Polymorph's "much faster" client-side server. The technology complements Walmart's existing adtech investments, including its omni-channel ad-targeting and measurement solution, and will allow it to later expand into new areas like real-time auctions across multiple pricing models (cost per click, cost per impression and cost per conversion). At Walmart, Polymorph's technology will allow advertisers to target segments based on shopping behavior. It also allows advertisers to leverage a unique combination of in-store and online shopper data from Walmart's hundreds of millions of customers, making ad buying more efficient. The acquisition comes at a time when Amazon has been rapidly growing its ad revenues by allowing merchants to pay for better placement in search ads. In February, research firm eMarketer upped its estimates as to how large Amazon's ad business had become, in fact. It said that Amazon's ad revenue had totaled $3.3 billion for 2017, up from an earlier estimate of $1.9 billion. And it said Amazon was on track to increase its ad revenues to $15 billion by 2020. "We have a tiny ad business," CEO Doug McMillon told investors last October, according to a report by Bloomberg. "It could be bigger." Next month, Walmart says it's hosting "Fifty-Two Sixty," an event where CMOs, agency folks and senior brand marketers will hobnob with Walmart execs to talk about how brands should be thinking about their retail strategies. "Walmart Media Group enables brands to reach more customers at scale and measure advertising effectiveness across the entire shopping journey," said Stefanie Jay, vice president and general manager, Walmart Media Group, in a statement about today's news. "Simply put, we can help brands understand if someone saw their ad on Walmart's platform or across the internet, and then purchased the product in-store or online. No one else can do this at scale like Walmart."